Summary: (from the inside flap): What happens when a stranger attacks you? 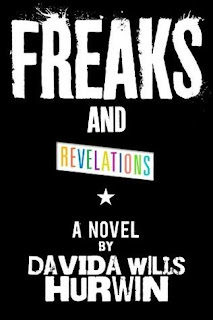 This raw, moving novel follows two teenagers--one a mohawk-wearing, Punk-rocking seventeen-year-ol neo-Nazi; the other a gay thirteen-year-old cast out by his family, hustling on the streets and trying to survive. Told in alternating perspectives this book tells the story of the boys' lives before and after the violent hate crime that changes both their futures. This is a tragic but ultimately inspirational journey of two very polarized teens, their violent first meeting, and then their peaceful reunion years later. Review: Powerful. Depressing (in parts). Scary. Uplifting. Revealing. Intense. These are the words that come to me as I think about this book. I just finished it within the last half hour and wanted to write the review immediately so that the feelings I have were fresh and raw. The violent first meeting of these two teens takes place in 1980, but the book begins 7 years before that. The book alternates between the two boys with each chapter telling what their lives were like building up to that horrible, scary day in 1980. Jason grew up in San Francisco and at 13 is thrown out of his house because he is gay. Doug grew up in Los Angeles full of hate and loathing, a Nazi skin head. Both boys are exposed to bad parenting, uncaring adults, drugs, alcohol, and out of control lifestyles. The years building up to the confrontation are interesting, but as the chapters (and the years) get closer to 1980 the tension builds and the story improves. I felt for both of these boys even though I had a difficult time having sympathy for Doug. Someone who is so full of hate must be so unhappy! The book ends soon after the "incident", but includes chapters for nine and eighteen years after. There is also an afterword where the author ties the story to the reality: Jason and Doug are real people (this is revealed on the book jacket so I am not spoiling any surprise) and the events in the book are real. Matthew (Jason) and Timothy (Doug) now speak publicly on issues of hatred and its effect on their lives and society. While this book is uncomfortable to read at times I think that is the perfect reason to read it. To hear about the issues that parts of our society live with on a daily basis and to have hope. This looks like a book I should keep in mind. I've just checked, and they don't have it at our libraries yet. But it sounds like a very interesting book. I really want to read this one. It sounds great. I first saw a review in Romantic Times...they have a great YA section. I've been seeing this book on the blogosphere for quite some days now, but I still couldn't come up to read it. I think you have finally convinced me that I am missing out on something good! Thanks for the great review! Thanks for the positive feedback everyone and I hope you enjoy the book if you read it! Sounds intense. I have a harder time relating to the male voice rather than race/sexual orientation. I think I have to look for this and read it.